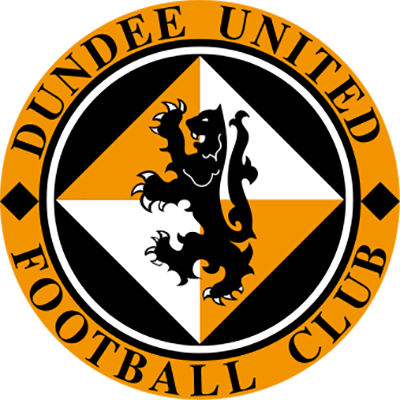 United welcomed Hearts to Tannadice today as the SPL fixtures drew to a close prior to the top six/bottom six split. After last week's heroics in Glasgow, United came out to great applause from a good home support - buoyed by recent performances and results, not to mention the chance of a voucher for a Cup Final ticket. The match was evenly contested by both sides and not even a puncture on the Kingsway on the way home could detract from a great end to a week when we've all been proud to be an Arab again. United kicked off in a 3-5-2 formation and seemed keen to continue their recent good form. Mark Kerr and Grant Brebner continued in central midfield after their performances at Hampden and Ibrox last week. United took the early initiative and Barry Robson left Gordon stranded with a great early cross but the ball was cleared. From the resulting corner, Mark Wilson's cross was cleared as McIntyre looked to give United an early lead. Just as Hearts seemed to be getting in to the game, Barry Robson shot United into the lead in the 37th minute. 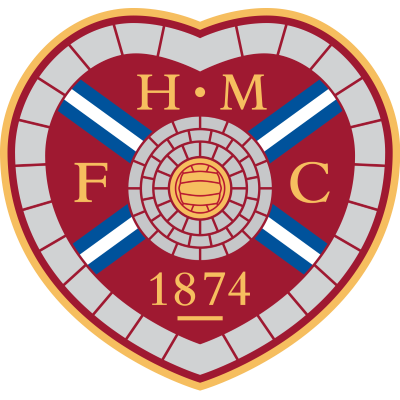 Mark Wilson's cross from the right was dummied by McIntyre which caught out Hearts youngster Jason Thomson and Barry Robson leathered the ball past Gordon. The lead was short-lived as McAllister wriggled free from his defender at the corner flag and Miller headed his cross past Bullock after a deflection off Ritchie. 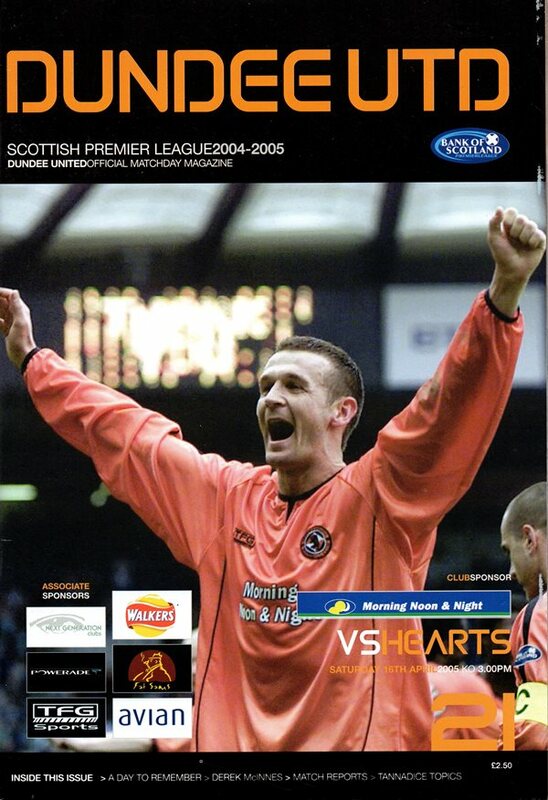 Half time saw the introduction of Stevie Crawford in place of Jason Scotland. The half commenced with a lot of end-to-end play without either goalkeeper being really troubled. The first real chance of the half came when a corner by Robson was punched clear by Gordon. Grant Brebner met the ball on the volley at the edge of the box only to find the keeper in good form again before the stopper denied Stuart Duff as he looked to net from the rebound. As the game drew to a close, the United support tried to lift their team for one last big effort and they weren't disappointed. 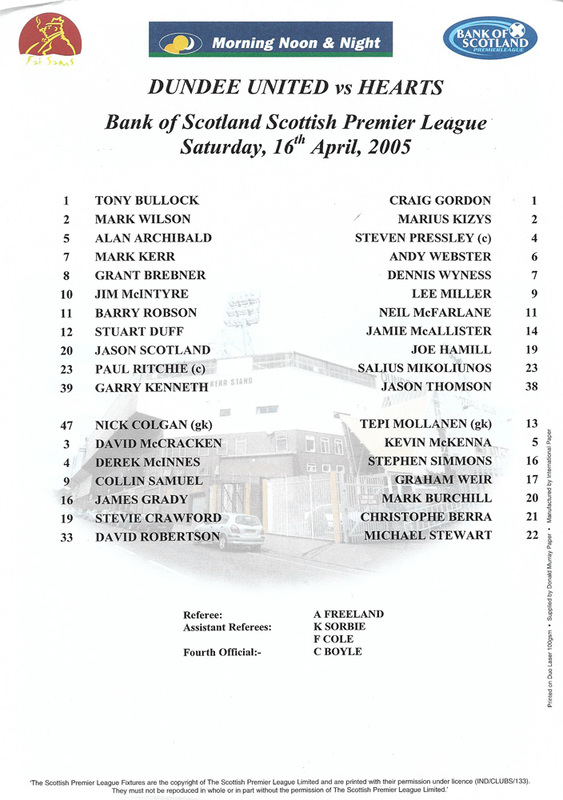 Collin Samuel drew McAllister into a rash challenge and Robson's free kick from near the corner flag was sent crashing against the bar by Gary Kenneth's head with Gordon nowhere to be seen. United were not to be denied for long and after Robson had fired over from long range they continued to press forward. A ball was played to Stevie Crawford in the inside left position, the Scotland striker held the ball up well before playing in Grant Brebner who placed a glorious shot over Gordon and into the top corner of the net!